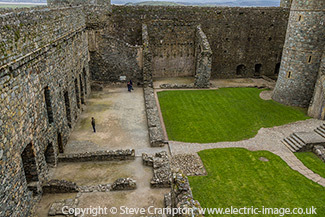 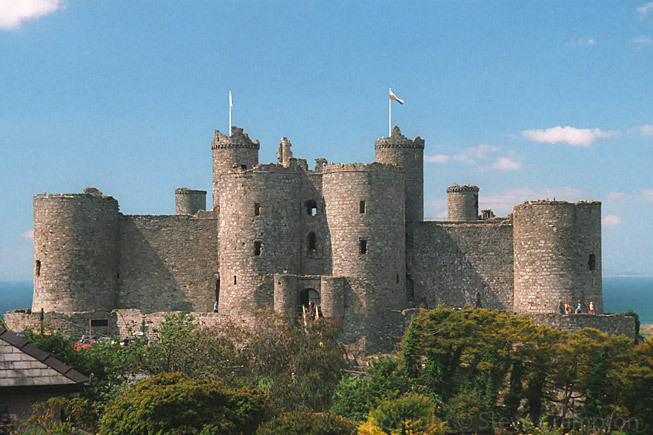 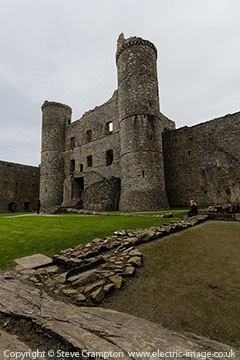 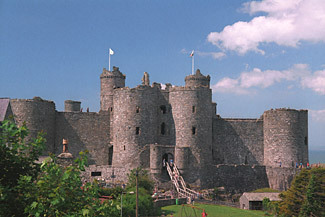 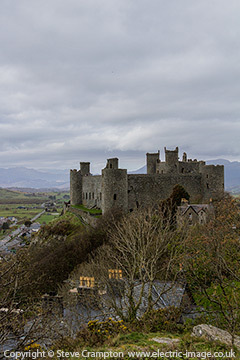 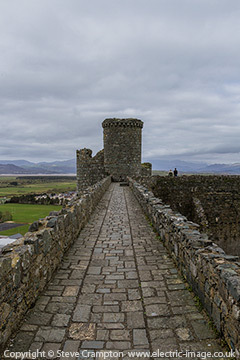 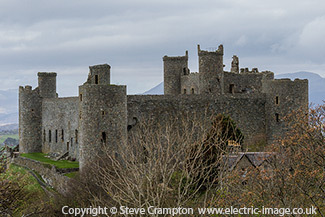 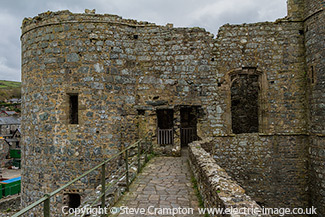 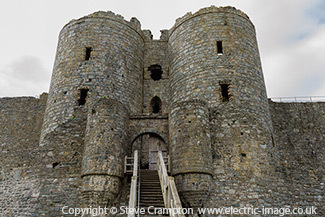 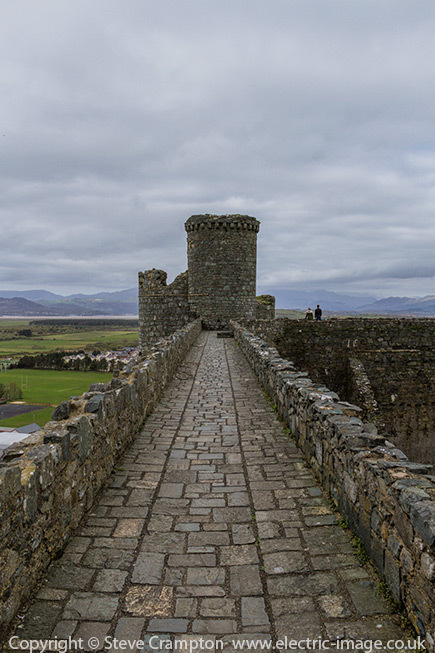 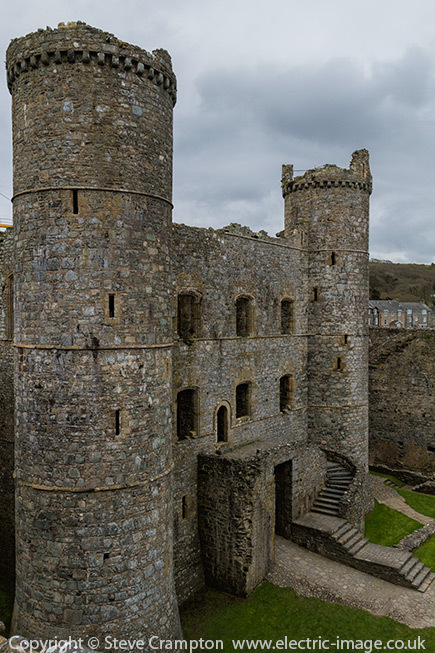 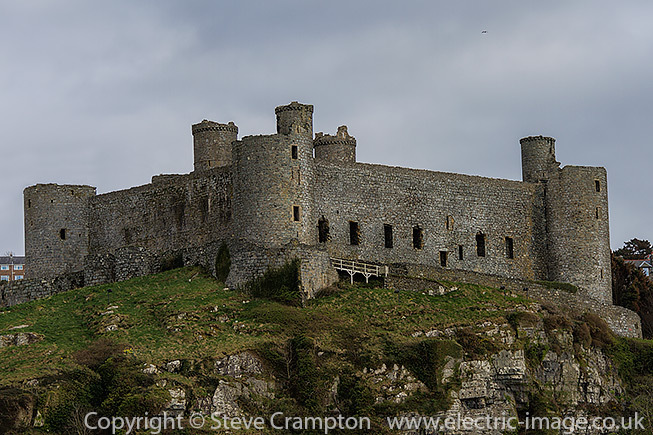 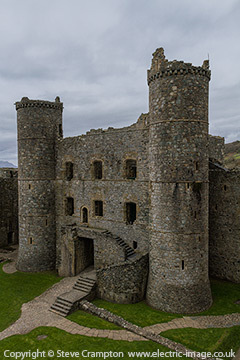 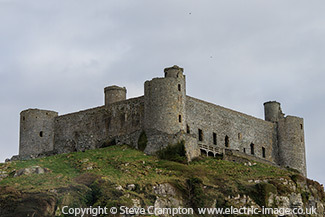 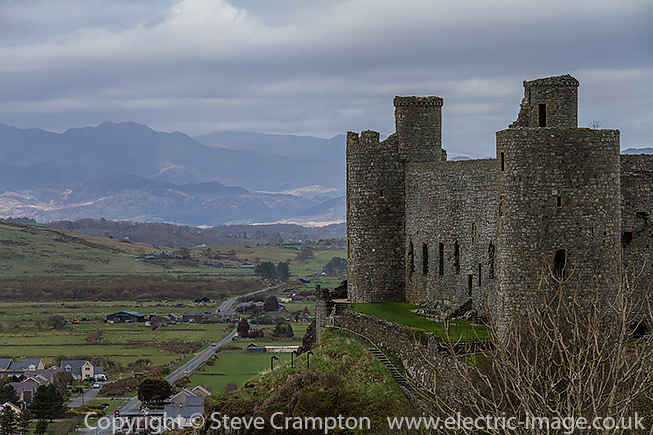 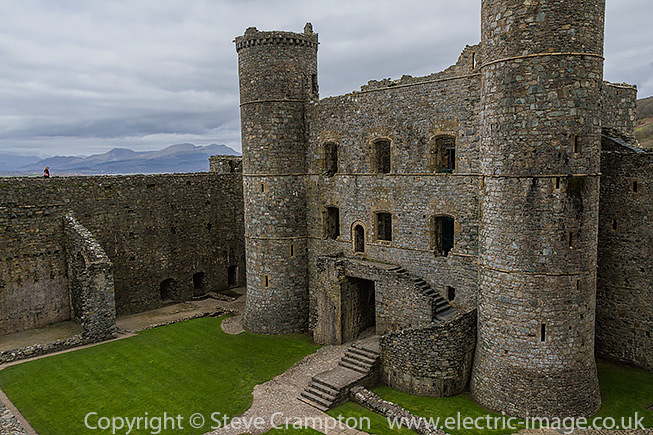 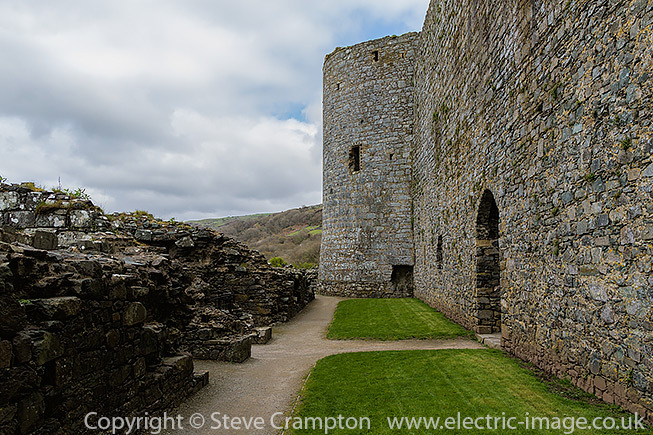 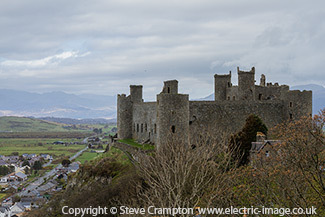 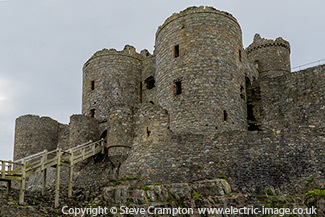 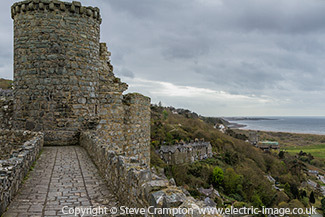 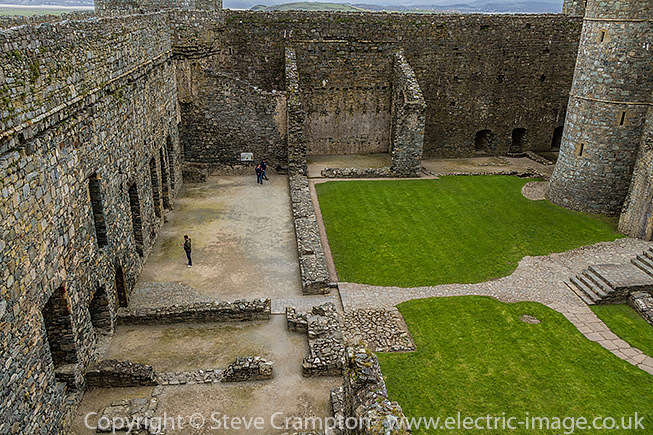 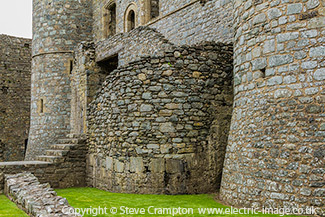 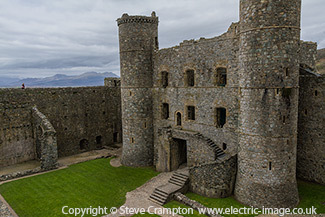 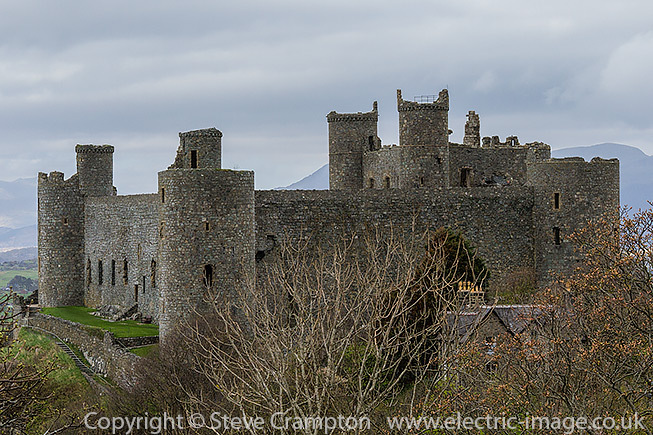 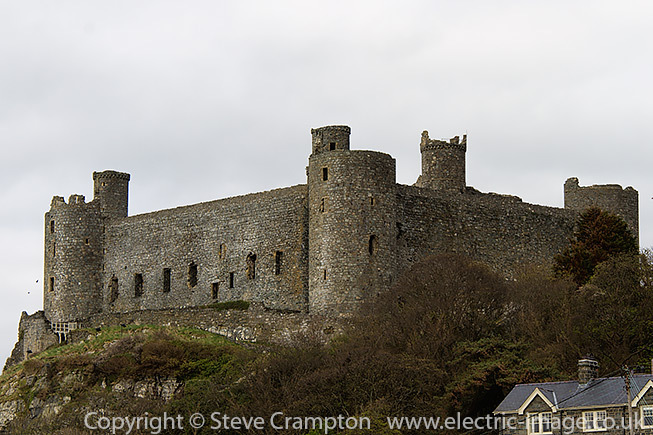 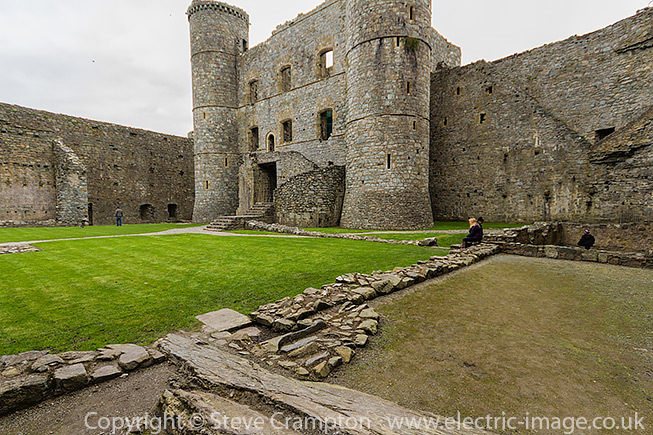 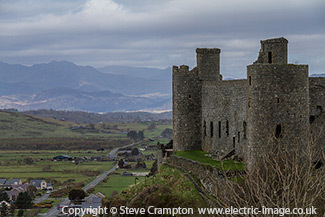 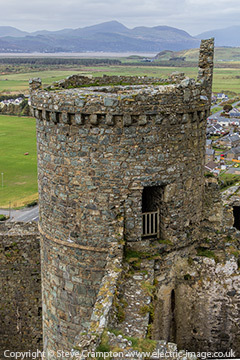 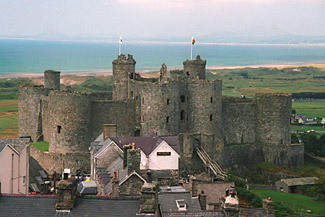 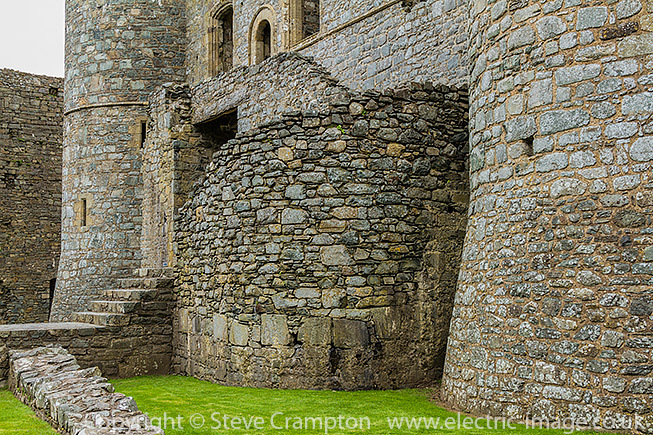 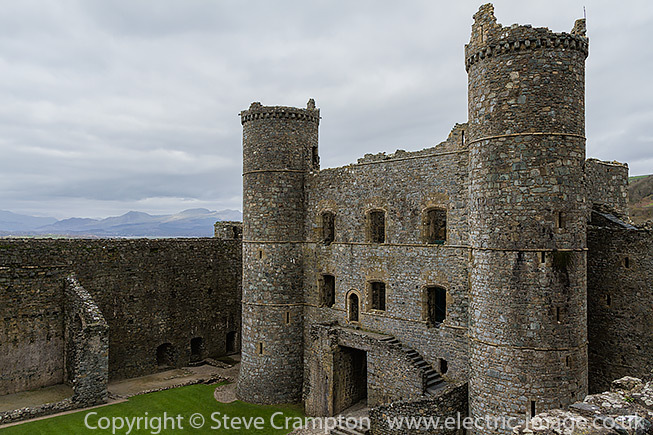 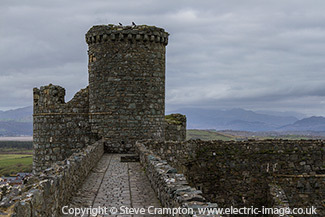 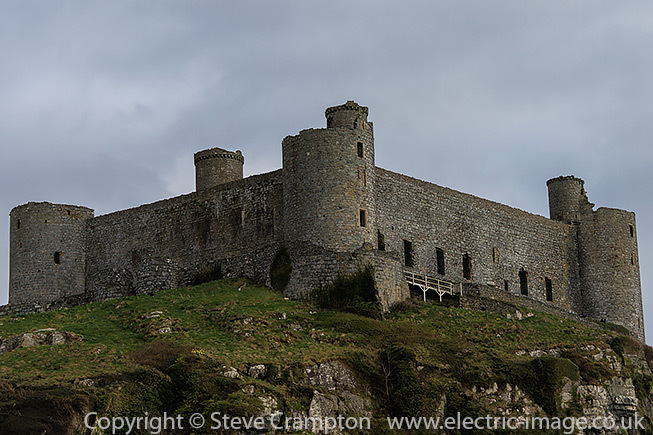 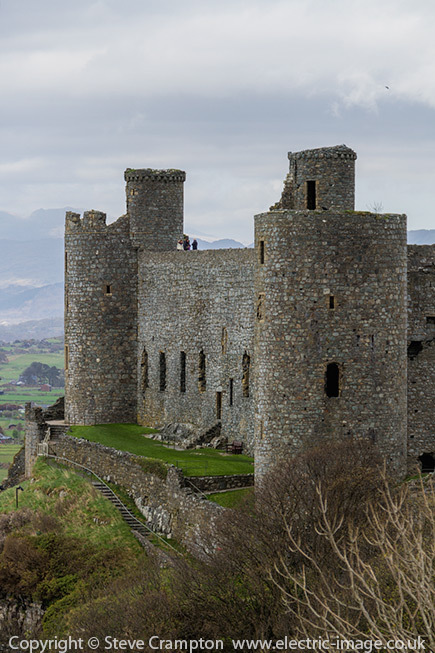 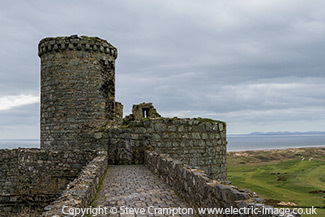 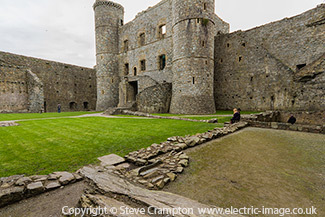 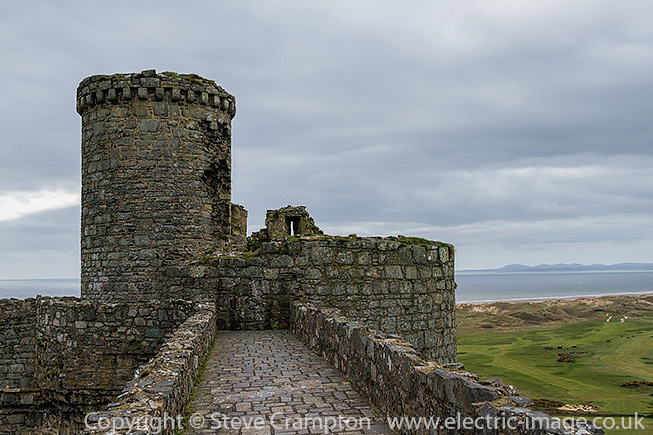 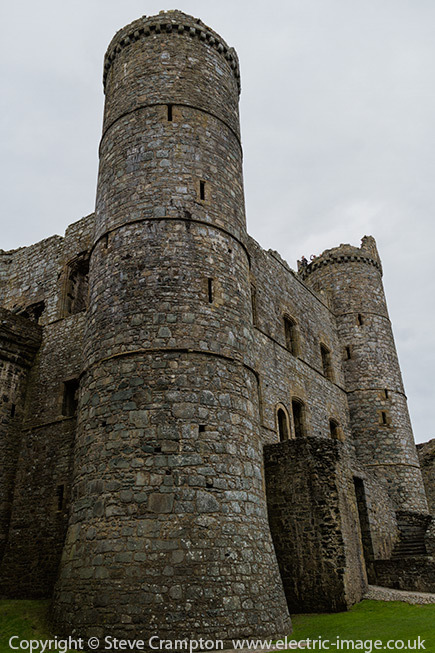 The building of the castle at Harlech began in the Spring of 1283, one of a group of new castles built for King Edward I, in order to help establish control over the rebellious Welsh following the defeat and death of Llywelyn ap Gruffudd. 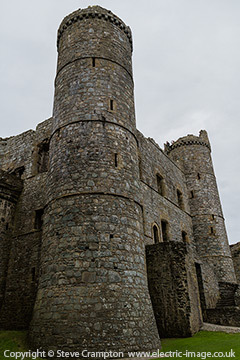 Although now significantly inland, when originally built, the sea lapped at the bottom of the rocky outcrop that the castle perches upon, allowing it to be supplied and reinforced in times of siege. © electric-image.co.uk, , All rights reserved.